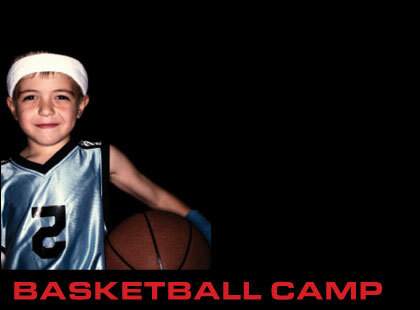 Summer Basketball Camp | South County Sports Club, Inc. WELCOME......Virginia Broncos AAU/YBOA Basketball Skills Camps & Clinics was created to teach the fundamentals of basketball. Our camp counselors are student of the game they have learned many lessons from being the team's best player to role player, starter to bench warmer, recreational player to professional, spectator to coach. These experiences have provided them that a solid foundation is imperative to both individual and team play. Players who become masters of the basic footwork, dribbling skills, shooting form, and passing and catching skills will have a significant advantage over those players who bring only physical stature to the game. For players with physical presence and mastery of the fundamentals, the sky is the limit. Here at the Virginia Broncos AAU/YBOA Basketball Clinic, you will learn the fundamentals and more. You’ll be given a solid foundation on which to build your own game and you’ll learn how to be a great player, regardless of your current or future level of play. We provide aspiring basketball players, both male and female, with a basketball learning experience. There will be a variety of programs offered for players of all ages and skill levels including skills clinics, summer camps, holiday and spring break seasonal camps, and elite camps for the more advanced player. Whether you're touching a basketball for the first time or an advanced player looking to sharpen your skills, the Virginia Broncos AAU/YBOS Basketball Skills Camps & Clinics is a perfect fit. Summer Basketball Camp is designed for players who are looking to improve their basketball skills and overall knowledge of the game. The week will be filled with different activities that are designed to teach the campers how to play basketball the correct way. The camp is available for boys and girls between the ages of 7–13 (incoming Grades 2-8 ). Campers are responsible for bringing their own lunch. The concession stand will be open throughout the week and campers will be able to purchase snacks and drinks. Custom SCSC Basketball NEW ITEM! * Teams and divisions are selected prior to start of camp, by grade/age level.